As we already explained in one of our previous posts, workholding devices are all those tools used to hold your workpieces firmly while your machine does the hard work. 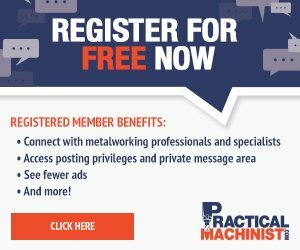 No matter how sophisticated and powerful your machine is, there is no way you will be able to cut metal precisely if your workpiece is not safely and strongly held in place by a workholding device. rotate the workpieces along with the spindle. The choice of the most practical device to use generally depends on the on the shape, length, diameter, and weight of the workpiece. Also, the type of cuts you will be taking plays a fundamental role in the selection. In this article, you will find a list of the most commonly used devices that you can find. As always, the beauty of machining lies in the fact that there’s no limit to the solutions a machinist can come up with, and many expert machinists generally enjoy designing and machining their own fixtures. Here are the traditional workholding devices that you will probably encounter at least once in your life as a machinist. Chucks are probably the most widely adopted type of workholding device on the lathe. They are efficient and accurate and work well with most types of workpieces. It is also known as three jaws self-centering chuck. It consists of a cylindrical body having three jaws fixed radially at its front. This type of chuck is generally used to hold regular shapes, such as round or hexagonal workpieces. Four jaws chuck look much similar to the three jaws chucks, just with four jaws instead of three. The main difference between the two types of jawed chucks is that four jaws chucks are not self-centering, meaning that machinist are required to dial in the workpiece in order to avoid runout by independently adjusting each jaw. While this process might be a little more time consuming, it enables the chuck to hold successfully eccentric or irregular workpieces. These chucks hold the job by magnetic force. Collet chucks are typically used for holding small or very long workpieces. They are normally used on a center lathe, Capstan lathes, or turret lathe for producing items from bar stock. Faceplates generally have a circular shape and have a threaded hole at its center so that it can be screwed to the threaded nose of the spindle. They are used to hold large, heavy and irregular shaped workpieces which cannot be conveniently held between centers. Face plates went a little bit out of fashion since milling became popular, and a lot of the operations you would do on a face plate can be done more easily and safely on the mill. But if you only have a lathe, the face plate is definitely one of your options. 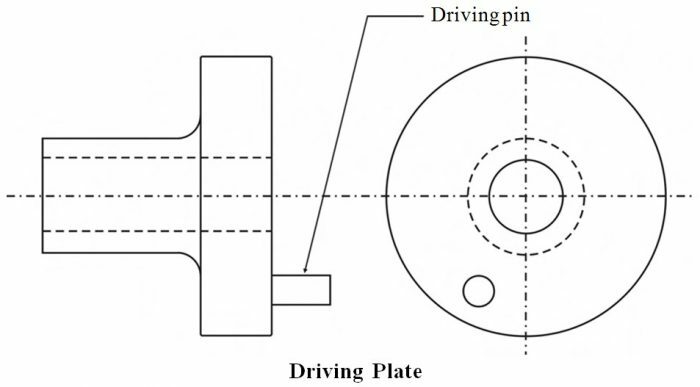 Driving plates and catch plates are generally used to drive a workpiece that is held between centers. 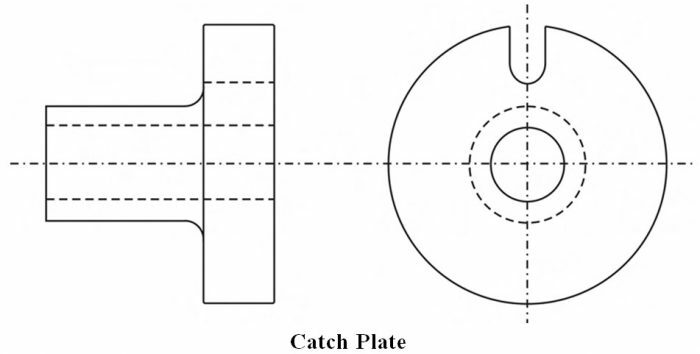 While both types of plates have a disk shape, driving plates have a driving pin on the face that is used to engage with straight tail carriers while catch plates feature ‘U’ slots that are designed to fit “bent tail” carriers. Centers are made of high carbon steel and hardened and then tempered. So the tip of the centers are wear resistant. Different types of centers are available according to the shape of the work and the operation to be performed. Rests are used to support a long slender workpiece. They are typically placed at some intermediate point to prevent the workpiece from deflection. Lathe mandrels, also called arbors, are used to hold previously drilled or bored hole for outer surface machining. The workpiece is loaded over the mandrels between the centers. Mandrels are generally tapered and their ends are slightly smaller than the original diameter for effective gripping.